Chairman and Managing Director of Bharti Group, India's largest GSM-based mobile phone service provider; IT Man of the Year Award 2002 from Dataquest and CEO Of the Year, 2002 Award from World HRD Congress. Sunil Mittal can be called as originator of cellular phone revolution in India. He is the founder, Chairman and Managing Director of Bharti Group and runs India's largest GSM-based mobile phone service. Sunil Bharti Mittal's father was an M.P. Sunil did not followed his father's footsteps. After graduating from Punjab University in 1970s, he set up a small bicycle business in Ludhiana in partnership with his friend. By 1979, Sunil Mittal realized that his ambitions could not be fulfilled in Ludhiana, so he moved out to Mumbai from Ludhiana. He spent a few years in Mumbai and in 1982, Sunil Mittal started a full-fledged business selling portable generators imported from Japan. This gave him a chance to acquaint himself with the nitty-gritty's of marketing and advertising. His business was running smoothly but later on the government banned the import of generators as two Indian companies were awarded licenses to manufacture generators locally. In 1986, Sunil Bharti Mittal incorporated Bharti Telecom Limited (BTL) and entered into a technical tie up with Siemens AG of Germany for manufacture of electronic push button phones. 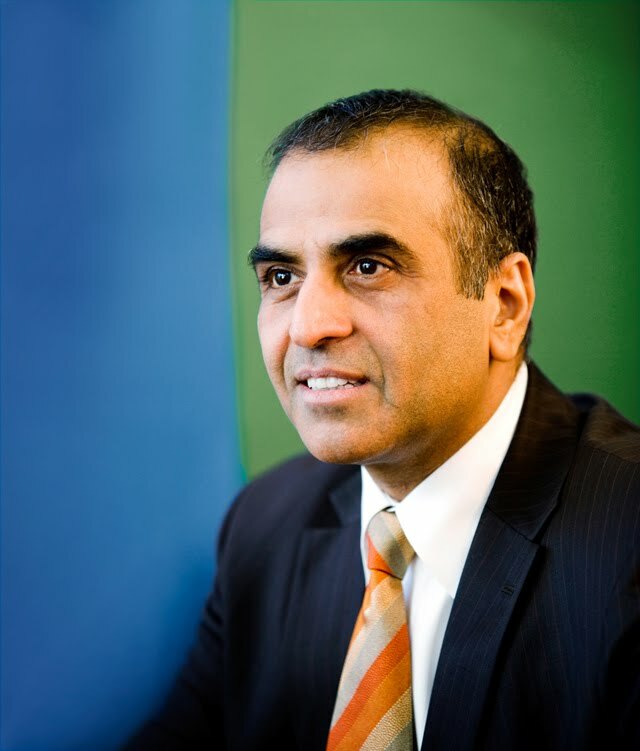 Gradually he expanded his business and by early 1990s, Sunil Mittal was making fax machines, cordless phones and other telecom gear. In 1992, when the Indian government was awarding licenses for mobile phone services for the first time, Sunil Mittal clinched Delhi cellular license in collaboration with French telecom group Vivendi. In 1995, Sunil Mittal founded Bharti Cellular Limited (BCL) to offer cellular services under the brand name AirTel. Soon, Bharti became the first telecom company to cross the 2-million mobile subscriber mark. Bharti Cellular Limited also rolled out India's first private national as well as international long-distance service under the brand name IndiaOne. In 2001, BCL entered into a joint venture with Singapore Telecom International for a $650-million submarine cable project, India's first ever undersea cable link connecting Chennai in India and Singapore. Today, Sunil Mittal runs a successful empire with a market capitalization of approximately $ 2 billion and employing over 5,000 people. He has been honored with several awards. Sunil Bharti Mittal was chosen as one of the top entrepreneurs in the world for the year 2000 and amongst 'Stars Of Asia', by 'Business Week'. He also received IT Man of the Year Award 2002 from Dataquest and CEO Of the Year, 2002 Award (World HRD Congress). India's ruthlessly competitive telecom sector can be a hugely stressful place. But on Tuesday, Sunil Bharti Mittal couldn't stop smiling. Understandably so, since he was finally fulfilling a dream he claims to have nurtured for almost 15 years, with the signing of the deal to acquire Zain's operations in Africa paving the way for Bharti Airtel's entry into 15 African markets. The purchase, the largest ever cross-border deal between emerging markets, makes Bharti the fifth largest mobile operator by subscribers in the world.